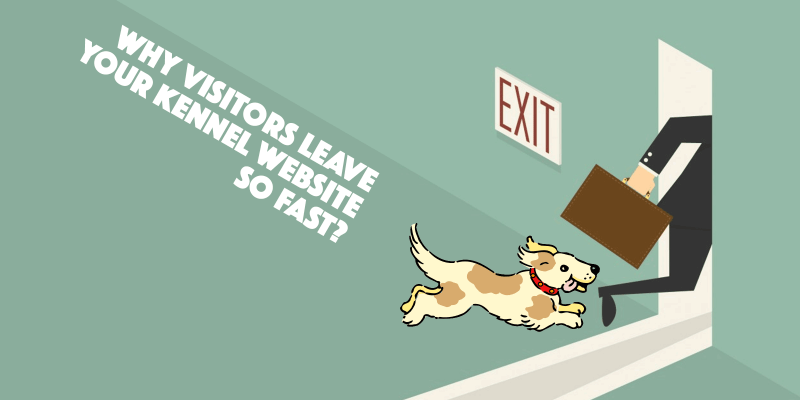 Why Visitors Leave Your Kennel Website So Fast? 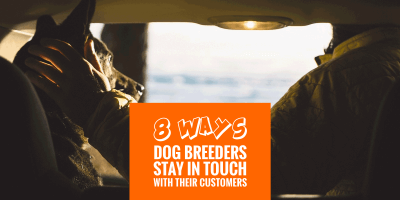 If you have browsed a few kennel websites, you know how outdated and heavy their websites are—and it’s even worse for their homepage. This approach of putting too much on a given page is totally counter-productive. 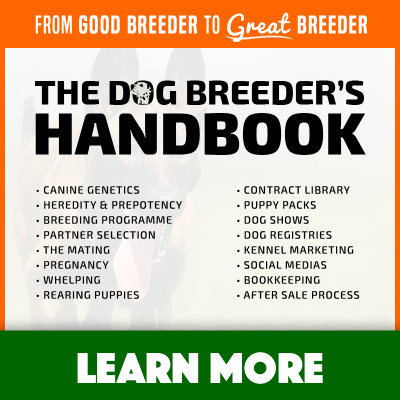 Dog breeding isn’t full of geeky people so here are some tips for you to follow. Don’t get me wrong, it makes complete sense if you think about it: most people will only see one page so you want them to see as much as possible. I run a website with several categories, different products, hundreds of articles and guides, and let me tell you one rule with each page of your website — less is more. Every experienced website owner will tell you: most visitors land on your website and leave without visiting any other page. Even worse, they often leave only few seconds after they arrived. We call these visits bounces. Just remember the last few times you googled something… I bet you clicked on a website, quickly scanned the page to find your answer, and then you either left or hit the back button. This behavior works for all websites, not just breeder websites, and there are plenty of reasons why these bounces happen! More than half of Internet’s traffic happens on a mobile device or a tablet. The screens are a lot smaller, the direction is vertical rather than our familiar landscape screens. Your content must seamlessly adapt to mobile devices if you want people to keep on reading your content, and visit other pages. Move away from a fixed-layout website and setup a fully fluid and mobile-first WordPress theme. Nowadays, most free themes are completely mobile-responsive so you don’t even have to pay a lot of money. Mobile have slower Internet connections, so do people leaving in remote areas or in cities with an older telecommunication infrastructure. I lived in Vietnam, London, Paris and surprisingly, Asian internet connections are way faster. It’s not just a matter of country; it’s a matter of device and network. Imagine how often people are on their train back from home, have some signal, search something, click on a search result and the train leaves the platform. They have now a handful of seconds to load the website containing the piece of information they are after. If your kennel website’s webhost is slow, or if you have heavy photos and fonts, they will never see that page. All of this can be changed but it can take a lot of time, perhaps a whole rebuild of your entire website. We did it when we judged it was necessary last year; a growing audience required us to work on optimizing our server requests to avoid bottlenecks. Move on to a faster host that allows you to cut server response times and speeds up the delivery of your content through caching and preprocessing. Check out Bluehost, it’s one of the most popular web hosts in the world. If you are moving to a new host, it’s definitely a great idea to think about redesigning your entire website and your pedigree tools. Before a visitor reads your actual content, they must locate the content area. It seems easy but depending on your device and how bloated the design is, focusing on the content area can be extremely challenging. Especially when you consider smaller devices such as tablets and smartphones, visitors should be able to see your kennel’s content without scrolling down twice! Use a minimalistic kennel WordPress theme and plugin to power your WordPress website in a very clear fashion. 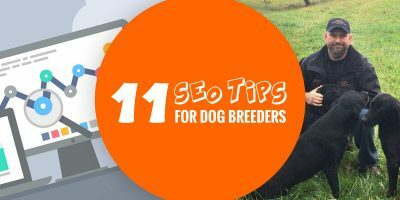 You can use our own Breedr for WordPress plugin and our WP-Breeding theme — we have a live demo of our pair! Look at our very own Breedr for WordPress, our amazing kennel and animal breeder WordPress plugin and theme. Once a visitor of your kennel website enters your article area, they try to scan your content and judge whether or not it’s worth pursuing. If you article is a big fat block of unformatted text, they will leave. If it is clearly structured using headings, sub-headings, bullet lists and bold or italic text, they will most definitely be able to locate and read the parts they are the most interested in. From the length of your sentences to the use of connecting words, so many things have to considered in order to ensure the highest writing quality for a blog post. Depending on the topic, the expected style, and the quality of the information provided, users will give your more or less credibility thus leaving or staying for longer. Create the outline of your articles and posts to structure your ideas and then write up the content for each part of your article. Another way to do it is the write the conclusion first so you know the point you want to arrive at, and work backwards to write the article up. Eventually, once all these basic mistakes are fixed and you have a good kennel website to work with, it’s time to up your game a notch and think of bigger projects such as giveaways, social media tactics, retention strategies, email optins, etc.